ASP-USA produces without a doubt the highest quality expandable batons we stock here at the KnifeCenter. New for 2013, they’re expanding their inventory to include not just batons, pepper spray, handcuffs, and high quality carry cases but some serious EDC and keychain flashlights for the tactical professional. If you’ve already got an ASP baton, accessorize it with the tactical Triad attachment which replaces the end cap with a 70 lumen LED flashlight that’s tough as nails. Or if you’re just looking for an everyday carry lighting option, they’ve got you covered with the compact Tungsten flashlights or a Triad model available in AA, CR123 or 18650 Lithium, all putting out over 200 lumens. However the coolest items to be released are the new Sapphire keychain LED models that come in a variety of colors with a USB attachment so it can be recharged with any computer. 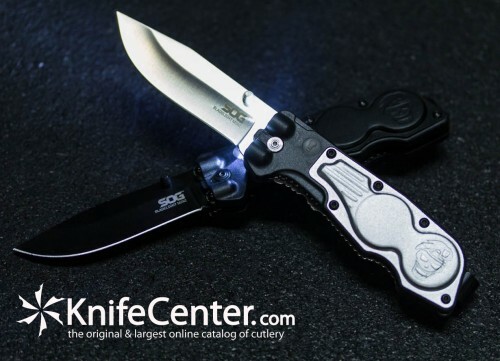 Check out all the new ASP products at www.knifecenter.com. When the power goes out, you’ll want a great flashlight at the ready. Your keychain is the perfect place for a flashlight, but most are so dim that they are essentially useless, or they’re too big, bulky, and heavy. The other issue with the average keychain light is that they tend to use some tiny, impossible to replace battery. When that light dies, you’re better off throwing it away and picking up the Klarus MiX6 Ti. The MiX6 Ti solves all of standard keychain light issues. At 12 g (.43 oz), it weighs just a little more than 2 standard house keys, and with its slim, titanium construction, you’ll hardly notice its addition to your key ring. That is until you turn it on. The Klarus blasts out light with 4 modes that cover all of your lighting needs, spanning from 3 lumens to an impressive 85! The modes are changed by twisting the flashlight head left and right and it glides easily enough that it can be done with one hand. If you’re wondering how long the light lasts, you’ll get 70 minutes from the full 85 lumens, 5.7 hours from the medium 26 lumens, and almost 3 days at the low 3 lumens setting. All this from a single, easy to find, AAA battery. Check out this perfect keychain light at www.knifecenter.com. FOURSEVENS has just released their second generation of select flashlights with 20% brighter LED output! The new CREE XP-G2 LED emitters are among the best in the industry for brightness, longevity, and of course efficiency. This will be the third Preon 2 I’ve owned and the Gen 2 is noticeably brighter than previous models. Best of all, no increase in price with the increase in performance. For the money, FOURSEVENS definitely have some of the best performing illumination tools on the market. Check out the new Gen 2 flashlights at www.knifecenter.com. Two great products for one great price! Check out this sweet combo pack from Leatherman-it includes a limited-edition orange Fuse multi-tool, and an awesome LED Lenser H5 headlamp. 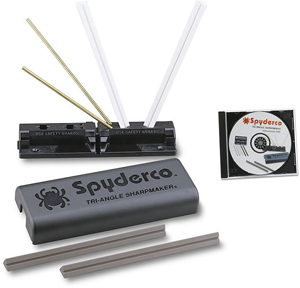 Perfect for camping, survival, or just when the power goes out, this set provides all the tools you need, and the light you need to use them. The Fuse weighs in at just over 6 ounces, but is bristling with all the tools you could want-a 420HC main blade, needlenose pliers, wire cutters, Phillips and flat head screwdrivers, scissors, bottle opener, and more! Includes a nylon sheath. The set also includes the LED Lenser H5 headlamp, which pumps out 25 lumens and uses advanced optics to allow you to focus the light-you can create a circular low beam for reading at night, or a bright beam to pierce the darkness at a distance. Joggers may appreciate the red backlight for extra visibility. 3 AAA batteries included. Check out this great set-for a great value-while it lasts at www.knifecenter.com! SureFire Flashlights are widely considered top of the line in lighting products and as the old adage goes; you get what you pay for. Not anymore! 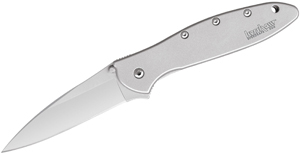 For 2012, the KnifeCenter has lowered prices on all SureFire products across the board. From folders to fixed blades, ear-plugs to pens, and every flashlight in between, the Surefire line is now available at a reduced cost. Get one of their knives, which were recently discontinued, before they’re gone for good. This change will be permanent to all items so don’t fear but you may have some competition while we have them in stock. 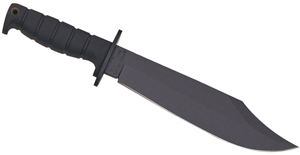 Now the new adage is: you get more than you pay for with Surefire products from www.knifecenter.com. Here at KnifeCenter we’re always looking for new and improved products to do the same boring old jobs. When it comes to lighting, Klarus has some of the best manufactured products on the market. Using the highest quality materials, circuit efficiency, and LED technology available, Klarus lights are designed for long term use in the military and tactical fields. With a wide range of products available, you’re sure to find one that fits your need and your personal style. You can see them all at www.knifecenter.com.